A Din Torah is a hearing of a dispute in front of a recognised Beis Din (Jewish court), in accordance with Jewish law. This dispute may relate to any commercial or personal matter which would normally be adjudicated in a court of law. The proceedings are relatively quick, cheap and informal and are determined by expert and experienced Judges known as Dayanim (single: Dayan). Who May be a Party to a Din Torah? Any Jew may bring a Din Torah in the Beis Din against a fellow-Jew (or even against a non-Jew) provided that both parties agree to submit to the jurisdiction of the Beis Din. The person bringing the case is known as the Claimant, and the person summoned to the Beis Din is known as the Respondent. It is a fundamental rule of Jewish law that a dispute between two Jews should be referred to a Beis Din for a decision, and not be taken to the civil courts. This is based on the premise that halachah (Jewish law) is derived from the Bible and Divine authority, and is a self-sufficient and comprehensive system capable of dealing with all problems of life. It is, therefore, the religious and moral duty of any Jew who wishes to pursue a claim against a fellow-Jew or any Jew who is called by a fellow-Jew to a Beis Din, to have the matter dealt with by a Beis Din, and to accept and carry out any decision of the Beis Din. Where a Jew is summoned by a fellow-Jew to the civil courts instead of a Beis Din, the Respondent may refer the matter to a Beis Din, who will call upon the Claimant to withdraw the matter from the courts and refer it to the Beis Din instead. The Beis Din will not hear a Din Torah as long as proceedings in the civil court are still pending. The Respondent to a claim has the right in Jewish law to choose which Beis Din he wishes to attend. Thus, whilst he is not permitted, in Jewish law, to refuse to submit to the jurisdiction of a Beis Din, he may decline to attend any particular Beis Din if he prefers to have the matter heard in another Beis Din. Who Sits on a Din Torah? A Din Torah is usually heard by at least three Dayanim (Judges of the Rabbinical Court). The Dayanim of the Beis Din of the Federation of Synagogues have wide experience of all kinds of disputes and litigation, and therefore eminently suited to hear any Din Torah presented to them. If both parties agree, the Din Torah can be heard by a single Dayan rather than a tribunal of three. The time taken to fix a Din Torah depends entirely on the cooperation of the parties and the court agenda, but is usually not more than two or three weeks, or sometimes even days, from the date of the initial application. This compares very favourably with the considerable delays experienced in comparable proceedings in the civil courts. The time allocated for the actual hearing, and the dates of subsequent hearings, are determined in accordance with the complexity of the case and demands of the court calendar. Initially, there is a £50 fee for the claimant to open a case. Costs for Din Torah are determined on a sliding scale in accordance with the time involved in adjudicating the case. Litigants will find that proceedings in the Beis Din are generally much cheaper than comparable proceedings in the civil courts. How Does One Commence a Din Torah? A Din Torah is usually commenced by the prospective Claimant writing a letter to the Beis Din, stating that he wishes to apply for a Din Torah. It may also be commenced by the prospective Respondent, in cases where civil law proceedings have been commenced, or threatened, against him by the other party, and he wishes to have the matter adjudicated by the Beis Din instead. In such cases, he should write to the Beis Din setting out the position and asking them to deal with the matter. The Beis Din will only entertain such cases, however, if the Claimant agrees to withdraw his action in the civil courts. The Claimant will then be sent an application form, which he should complete fully and return to the Registrar of the Beis Din. Where there are relevant documents (e.g. a contract, if the dispute involves a written contract), this should be submitted as well. Litigants may also refer a case jointly to the Beis Din, to be determined ‘by consent’. In such cases one of the parties may write to the Beis Din saying that it has been agreed between the parties to refer a dispute to the Beis Din for adjudication. The Registrar of the Beis Din will then examine the application, and if he is satisfied that a prima facie case is made out, he will contact the other party advising them that a claim has been brought against them, and at the same time will issue a summons to both parties, requesting them to attend at the Beis Din for a formal hearing of the case. All parties who receive a summons to the Beis Din are expected to confirm in writing whether or not they will be attending. If a suggested date is inconvenient, an alternative date may be requested. A Respondent will usually have the right to choose the Beis Din at which the case will be heard, and so if he wishes to have the case heard in an alternative Beis Din, he should inform the Registrar. Where the parties, in the course of a Din Torah hearing, reach agreement on the issue submitted to the Beis Din, it may not be necessary for the Beis Din to make a formal ruling. However, it is advisable nonetheless for the agreement to be referred to the Beis Din, who may then record it by way of a ‘Consent Award’. This sets out the agreement reached between the parties in a formal document, so that it is subsequently enforceable in the usual manner. Although a decision of a Beis Din, under Jewish law, automatically binds Jewish parties to a dispute, it does not have such an effect under English law. However, by virtue of the parties signing the Deed of Arbitration, the Award of the Beis Din becomes binding upon them in English law as well. Since the parties have bound themselves voluntarily to comply with any award of the Beis Din, there is usually no room for an appeal to be made, and decision of law are therefore final. If, however, it is felt that there are relevant matters of fact which were not brought to the attention of the Dayanim at the hearing, such matters should be referred to the Registrar, and may result in a re-hearing or reconsideration of the case. If a party is called upon in an award to take some action (e.g. to make payment to the other party) and fails to do so within the specified time, the other party should inform the Beis Din accordingly. The Beis Din will then call upon the defaulting party to comply with the award within a specified time, failing which, permission is given to the other party to have the award enforced in the civil courts. The civil courts have enforced Beis Din awards on a number of occasions. Where a party summoned to the Beis Din fails to attend without reasonable explanation, a second summons is issued. If this, too, fails to elicit attendance, a third summons is issued. If the party summoned fails to attend the third hearing, the other party is given permission to take such action as he may wish to pursue his claim, and may, in such circumstances, then refer the matter to the civil courts. Where a person who has been called to the Beis Din makes it clear at any stage that he rejects the authority of the Beis Din and does not intend to submit to its jurisdiction, the other party may be given permission to take such action as he may wish to pursue his claim, (including a referral to the civil courts) without the necessity of issuing three summonses to the Beis Din. Parties are at liberty to bring witnesses to the Beis Din to testify in their favour. However, the Registrar should be notified well in advance, and given full details of the identity of such witnesses. The other party to the dispute is advised that it is planned to bring certain witnesses – and has the right to bring counter-witnesses. It is not normally necessary to produce an agreed bundle of documents before the first hearing of the case. If the documents are required for clarification of the issue, they will usually be requested by the Dayanim at the hearing. In Jewish law it is forbidden for any Dayan to hear one side of a dispute in the absence of the other party, or to read any documents relating to the dispute before the case commences. This rule ensures the absolute objectivity and impartiality of the judges. If the complexities of the case suggest that it would be helpful if the Dayanim were to review the relevant documents in advance of the first hearing, this can be arranged with the agreement of both parties. It is not normally necessary to bring legal advisers to a hearing of a Din Torah, unless the case is one of especial complexity. Normally, the Claimant and the Respondent present the case in person. However, there is no objection to parties bringing their legal advisers with them, or to parties being represented by advisers of their choosing (such an adviser being known as a ‘To’en’). However, in all such cases, the Registrar should be notified in advance and given the relevant details. 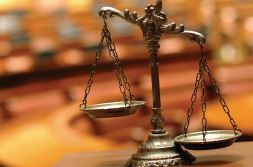 The procedure when there is more than one Claimant or Respondent is essentially no different from that outlined above. However, in such cases it is permitted for one of the Claimants or Respondents to represent all the others, provided a document of authorisation by all the other Claimants or Respondents is produced. Where a company is party to a Din Torah, one of the partners or directors should be authorised to represent the company. Just before the hearing of the Din Torah commences, all parties involved are asked to sign a Deed of Arbitration. This is a formal document empowering the Beis Din to adjudicate the dispute and authorising them to do so as arbitrators. The Registrar then signs the deed as a witness. The effect of this document is to bring the dispute within the terms of the Arbitration Acts of 1950, 1979 and 1996, and to ensure that all parties comply with the decision of the Beis Din. Having signed the deed of arbitration, the hearing commences. The parties are given an option either to have the case determined in accordance with strict rules of law and evidence, or to empower the Dayanim to exercise a degree of discretion where this seems equitable. This procedure ensures great flexibility, and is conducive to reducing potential acrimony between the parties. The Claimant is called upon to present his claim, after which the Respondent presents his defence or counter-claims. The Dayanim may ask questions of either the Claimant or the Respondent, to clarify their statements. If need be, the Claimant is entitled to make further statements after the Respondent has completed his defence, and the Respondent may be entitled to reply to such further statements. The Dayanim may reach their decision at the first hearing (or after a short recess in the hearing), or may wish to adjourn the hearing, to consider the matter further. Sometimes the hearing is adjourned until specified documents or witnesses are produced. It may also be necessary to have a further hearing or hearings of the dispute. The parties are usually informed verbally of the position, and then receive formal written notification from the Registrar. The system of law normally applied at a Din Torah is Jewish law, as formulated in the Talmud, and codified in Maimonides and the Shulchan Aruch, (the standard codes of Jewish law). It is not commonly realised that Judaism possesses a comprehensive and highly sophisticated system of law, capable of dealing with the most intricate of subjects. It is not necessary for the parties to a dispute to be knowledgeable in Jewish law, since it is the function of the Dayanim to adjudicate upon any legal issues which may emerge in the course of the hearing. Sometimes other systems of law may also be relevant to a Din Torah, by way of the doctrine of incorporation (i.e. rules of law derived from other legal systems may be ‘incorporated’, or assimilated, into Jewish law). This commonly occurs, for example, in disputes of a contractual or commercial nature, where the parties acted in reliance upon a contract or commercial deed drawn upon in accordance with civil law. In such cases, Jewish law may deem the parties to have acted in reliance upon civil law, and consequently may incorporate some of the rules of civil law in relation to the dispute. The decision of which system of law to apply is that of the Dayanim (as is the practice in civil disputes involving elements of more than one legal system, where the judges decide which system of law is to be applied). Once the Beis Din has come to its decision, this is drawn up in a document know as an ‘Award’, and formally communicated to all parties concerned. The award will state what the decision is, what remedies, if any, are to be applied, and within what time period. The Award will also give a brief resume of the legal reasoning behind the decision, as is common practice in cases heard under Arbitration Acts.